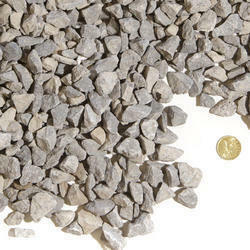 Prominent & Leading Manufacturer from Ranchi, we offer natural limestone. Being a leading firm in this industry, we are offering a high quality range of Natural Limestone. Our company Trang Bricks Private Limited holds expertise in mining, supplying and exporting high-quality LIMESTONE ROCKS in huge quantity. Our LIMESTONE mine is using several production lines and advanced machinery to meet our customers’ requirements in cement and steel factories. Our Limestone can be used in mining, paper and paper pulp production, water treatment, purification in wastewater treatment & more. Our Limestone mine is also geographically located and very accessible to the port that provides easy facilitation of shifting cargoes from mine to port. We also have a wide range of equipment and facilities for land transportation and exportation of our Limestone product.